Join us at Southside Baptist Church in Andalusia, Alabama where our praise team, praise band, and sanctuary choir will lead us in contemporary worship on Sunday mornings at 10:00 a.m. You will hear life-changing truths from God’s Word through the preaching and teaching of our Pastor.  Discipleship Classes, TeamKID (Preschool), Children's Activities, Student Activities, & Adult Southside Baptist Church University (SBCU): 5:00 – 6:30 p.m. Prayer Time in Sanctuary: 5:15 p.m.
Mission Friends (Preschool), GA's & RA's (Grades 1 - 5), Student Activities, Adult Choir Rehearsal, & Life Solutions Cafe: 6:00 p.m.